Uflex, an Indian company specialized in fully integrated flexible packaging solutions has introduced its new ASEPTO brand. This new type of aseptic liquid packaging material will be available from April 2017. The name “ASEPTO” is derived from the word aseptic, which means sterile. The new packaging solution protects food products from bacteria and other harmful micro-organisms for at least 8 months when kept under room temperature. The Indian market is growing with 17-18% per year. In the next five years, this sector is expected to double up 20 billion packs per year. In China, the yearly amount of aseptic packaging is estimated to be around 80 billion packs. 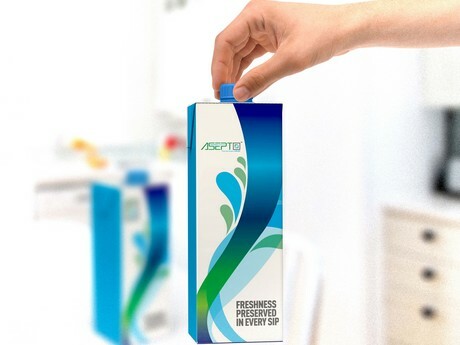 Aseptic packaging is made by laminating polyethylene with paperboard and aluminium foil. This creates a multi-layered construction, which enhances the carton to offer better protection against various factors that would otherwise spoil the contents. 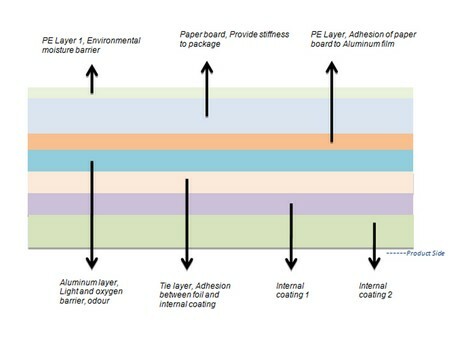 The aluminium foil layer is a strong barrier for o2 and light, while the polyethylene layer seals off the package. The result is a sturdy package with a brick-like shape that allows for optimal use of storage space. The ASEPTO solution is sent to customers in rolls, where these rolls can be applied to a forming and filling line in order to package products like juice, milk and other dairy products. Uflex has currently set up its aseptic packaging manufacturing plant on 21 acres of land out of the 72 acre parcel that it has procured in Sanand, Gujarat. The company has invested INR 580 crore (approx. US$ 85 million) in this operation, which should employ around 250 people. The company expects to invest a total of INR 1500 crore (US$ 220 million) in the next two or three years. The company was founded in 1985. Since then, the company has evolved to a multinational flexible packaging materials and solution company with manufacturing facilities in India, UAE, Mexico Egypt, Poland and the US. All Uflex plants are accredited with latest ISO, HACCP & BRC certifications. It caters to markets spanning across the globe in over 140 countries like USA, Canada, South American countries, UK and other European Countries, Russia, South Africa, CIS, Asian and African nations.